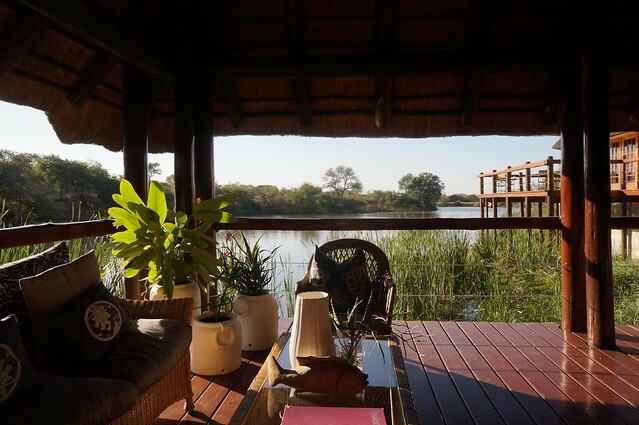 You've decided to take your family on safari in the Kruger area, but the question is where to stay. There are hundreds of lodges to choose from, some of which don't accept children at all. Then there is the question of whether they offer child friendly sleeping arrangements and activities and whether you should stay in a tent or a suite. 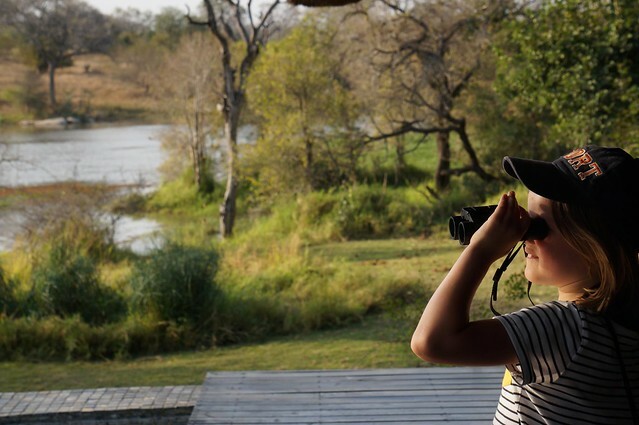 To ease your planning, we have put together a list of our favourite family friendly lodges in the Kruger area, which we have tried and tested with one of our own children. It is very important to take the time to consider your budget, age of your children and familly dynamic carefully when choosing your Kruger safari lodge, please don't hesitate to get in touch to discuss your needs further. Some safari lodges are tent based, others are in suites. Suites tend to be more spacious, whilst tents can give a more traditional safari feel, taking you closer to nature. It is usually possible to fit 1 or 2 small children in a tent with you, but older children will require their own tent. As tents are usually spaced apart, you will need to assess how you feel about this as a family. If you opt for a suite, you can all sleep in one room together, or you can opt for inter-connecting rooms. This is a more expensive option, but it does give you more privacy. As a rule, under 6's are not permitted on game drives and under 16's are not allowed on bush walks outside of the camp. 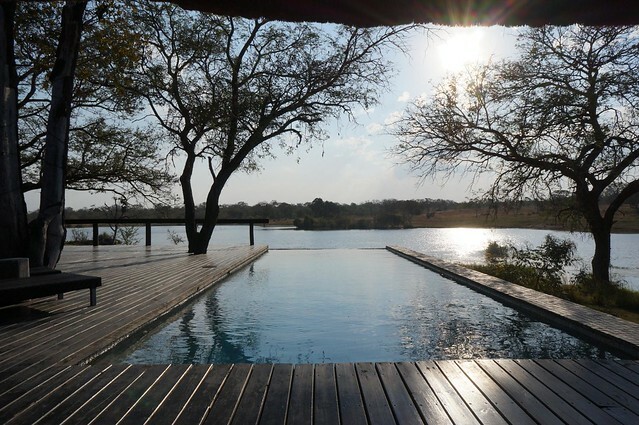 Game drives are usually at dawn and dusk and in between these hours, guests normally relax, swim and snooze in the sun. Some lodges put on activities for children during these times, to give parents some down time. These activities are not compulsary. Usually they consist of activities such as lodge based bush walks, treasure hunts and baking. Family Sleeping arrangements: 1 larger tent for families to share, everyone would be all in the same room together. Who is it for? More adventurous families looking for a wilder experience. Bush breakfasts are a real highlight after a game drive, but the layout and atmosphere is better suited to families with older children. This is not somewhere where you could want let your children make a lot of noise splashing in a pool. Our 7 year old's verdict: The lodge manager very kindly allowed our 7 year old, Milly, to stay at the camp for a night. She thought that the chicken schnitzel that the chef prepared especially for her was the best food of the trip. The bush breakfast was also a bonus. Family Sleeping Arrangements: The family chalets offer fantastic accommodation with a large master bedroom and adjoining twin bedroom. Not entirely private, as the door is a curtain, it does give evreryone more space and privacy. Age Limit: All ages welcome. Over 6's permitted on game drives. Who is it for? Families of all ages. This is not a super luxurious option, but the accommodation, jungle gym, kids playroom and pool make it particularly good for the under 12's. Our 7 year old's verdict: Milly absolutely loved the jungle gym and was so pleased to be able to climb and play after several days of game drives. She found the communal dining less interesting, but was very happy to finish her dinner and read her book on the lounge sofas nearby. We both loved having a bit more space in the bedroom! Family Sleeping Arrangements: Additional beds in a room are possible. Some rooms are inter-connecting, however families would have to pay for two rooms. Who is it for? 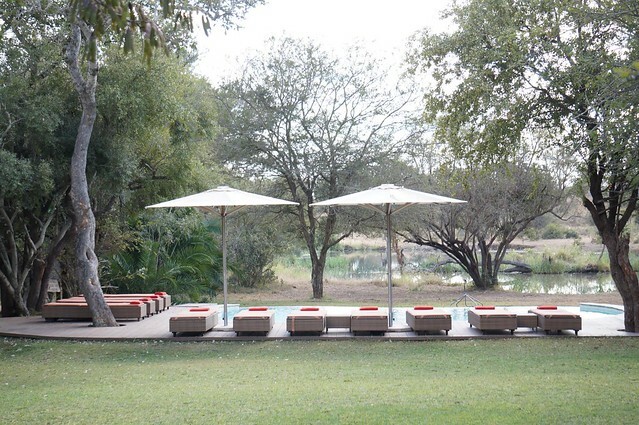 This is a larger lodge, but very welcoming to children with game drive goody bags and snacks provided, as well as a kids programme. As there are more people staying here and children are made welcome, you won't feel self-conscious if your children are making a splash in the pool. A great choice for under 12's. Accommodation: 6 luxurious suites, 2 family suites. Family Sleeping Arrangements: Families with under 12's can all share one of the spacious suites, with 2 extra beds provided in the lounge area. Families with older children can go for the family suite, with inter-connecting suites. Who is it for? 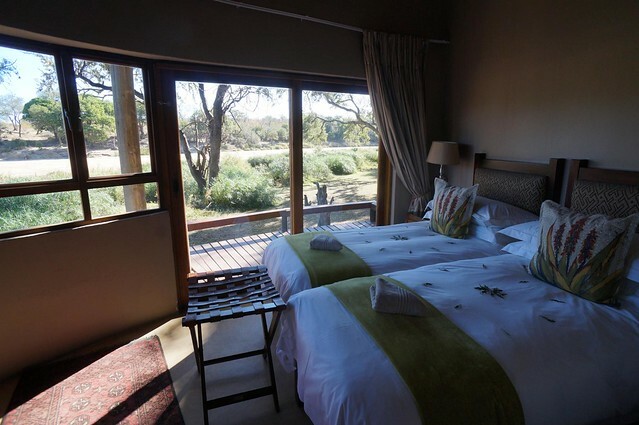 Luxurious accommodation in Sabi Sands for those wanting an exclusive safari experience. A very special place, but expensive. Families are likely to be sharing their game vehicles and communal areas with honeymooners, so raucous or lively children should probably avoid it here. Our 7 year old's verdict: Milly loved sitting on our deck and watching the hippos in the water. She loved the pool (although it was a bit cold) and really enjoyed the cake at afternoon tea. Accommodation: There are 9 tents, but as the only guests staying, it is up to you how you configure the accommodation. Family Sleeping Arrangements: Tents can sleep up to 2 adults and 2 children on a sleeper bed. Age Limit: All ages welcome. Children of any age permitted on game drives. Who is it for? 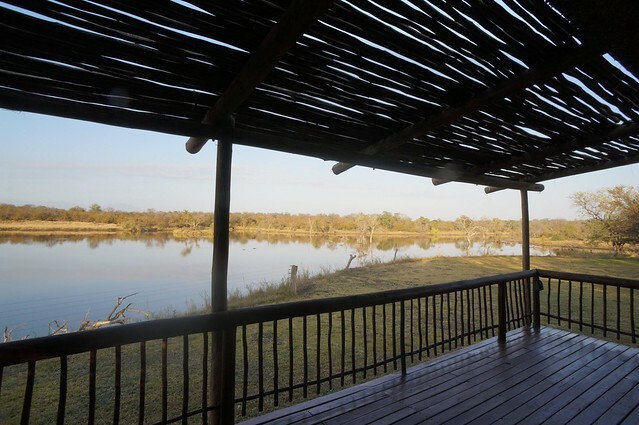 The experience at this camp is quite unlike any other commercial lodge that you will visit in the Kruger area and allows a truly laid-back experience. Service may not be as polished as at a 5* lodge and furnishings not as luxurious, but standards are high, nonetheless. As parents, not having to worry about your children and being able to dictate meal times and the timings of the day, this is a real bonus. Our 7 year old's verdict: This was Milly's favourite place because she was free to play and mess around without worrying about distrubing guests. She loved playing pool in the main lodge area and watching the hippos from the deck. She also loved being able to sit wherever she wanted on the game drive.